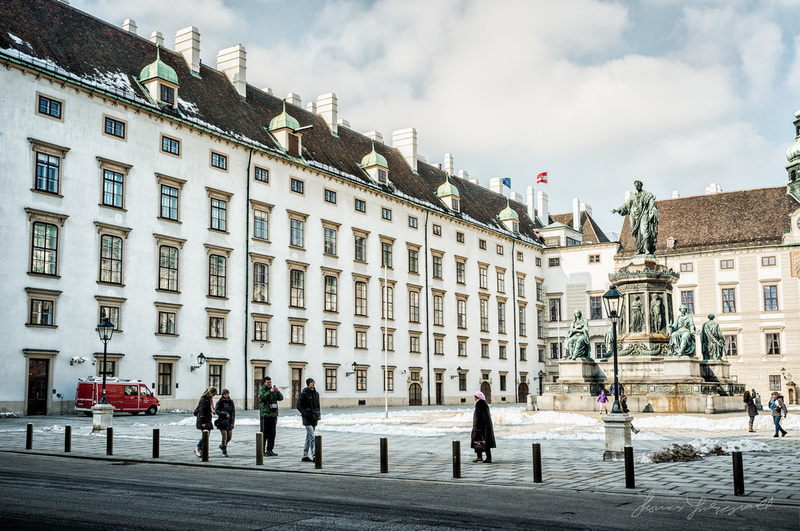 I was recently back in Vienna for a weekend, and I only had a little time for photography. Vienna is a beautiful city, which I really love, every time I visit. I had taken my Canon 5DII with me and I did get some shots with that, but it was the diminutive X100 that I ended up using most of the time. I just love being able to wander, unencumbered by a heavy camera, and yet still be able to get publishable quality shots. Sometimes I think the lack of options of having a fixed lens pushes you even more. I hadn't really set out to take many shots of the city this time. For a start, it was too cold, but mostly, I just wanted to enjoy the sites. Still, one can't help oneself!